Hair loss affects about 35 million men and 21 million women in the United States alone. Over 40 percent of men will notice hair loss by the age of 35, while 65 percent of women see hair loss by the time they are 60. It’s fair to say that very few enjoy this hair loss. Solutions to hair loss are nothing new. The NeoGraft solution is a revolutionary, minimally invasive way to transplant hair which is the only permanent solution to the problem. The advantages over the traditional methods for hair transplant, which leaves a large scar in the back of the scalp, are numerous. With the NeoGraft System, the hair follicles are removed from the back of the scalp, but without the invasive excision of hair containing scalp. This strip technique requires either staples or sutures to close the wound. This usually results in a painful recovery time and a horizontal scar on the back of the head, often visible. It also leaves the scalp with numbness in many cases. Still it is a common procedure and if well performed, can result in permanent, natural appearing hair. With the NeoGraft, there is no excision, thus no horizontal scar, staples or sutures. 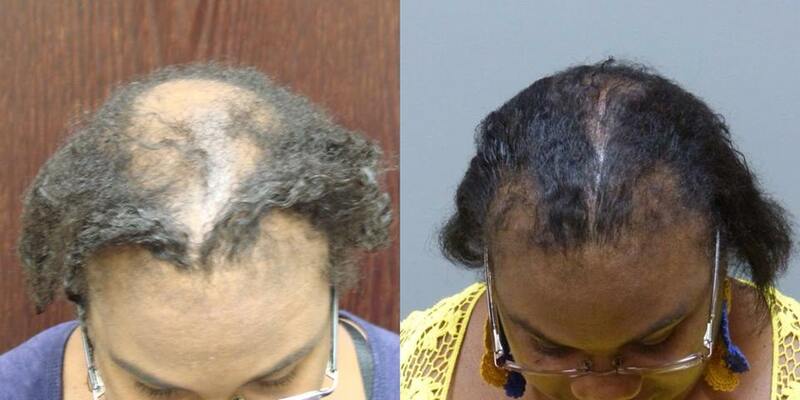 The survival rate of the hair follicles can be higher, thus the hair growth is thicker. The time to perform the procedure is greatly shortened compared to manual FUE procedures, and typically as much as 2,000 grafts can be transplanted. A NeoGraft graft contains up to 3 and sometimes four hairs, so this would be up to 5000 actual hairs transplanted. 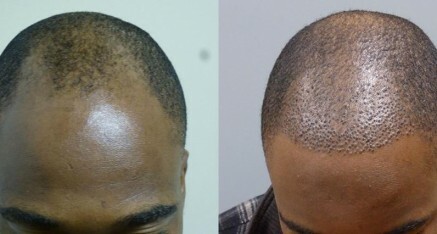 Patients who have had the traditional manual technique and returned for the NeoGraft automated hair transplant have said that the NeoGraft system is a night and day improvement in recovery, less pain and the lack of a scar. The hairs in the grafts will remain visible for 2 to 3 weeks after the procedure, and then most will fall out, leaving the dormant bulb under the skin for 6-12 weeks. A new hair then grows from the bulb with significant hair growth in 4-6 months and a full hair growth in 12-18 months. The patient is awake, but sedated (if preferred) during the procedure and may eat, drink or listen to music. Post transplant instructions will be given along with medications and shampoo. There is usually no bandage. Patients will be able to shampoo their hair the next day and resume normal activity in 3 to 5 days. Tiny crusts may form where the grafts have been placed and usually shed in 7 to 10 days. Most patients over 50 are satisfied with one or two procedures. Younger patients may need more procedures if they progressively lose more hair. 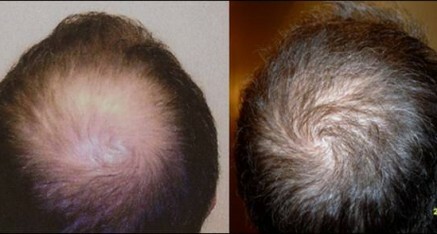 The NeoGraft technology allows for transplantation of hair from other areas of the body to the scalp, when necessary. The cost is per graft, each graft containing from 1 to 4 hair follicles. The Cost per graft is $4.50. This may exceed the cost of the traditional manual technique, but the hair survival is increased to 98% and there is NO LINEAR SCAR, NO SCALPEL, NO STITCHES, NO DOWNTIME. Please contact us for a complimentary consultation and evaluation.